So today was looking at my local theater line-up and I notice a film called Walt Before Mickey. What is this? How as a Disney aficionado have I never heard of this film about the big man himself, Walt Disney? I had a little bit of time tonight so I figured I’d go check it out. 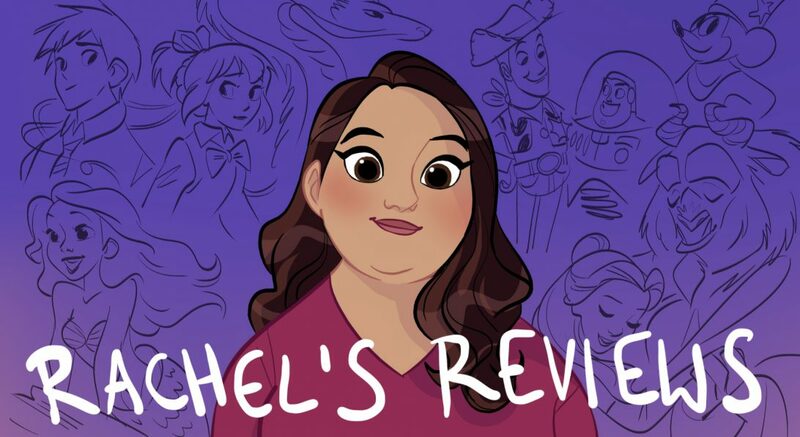 I mean my blog has Disney in the name so I think I’m obligated to do so. 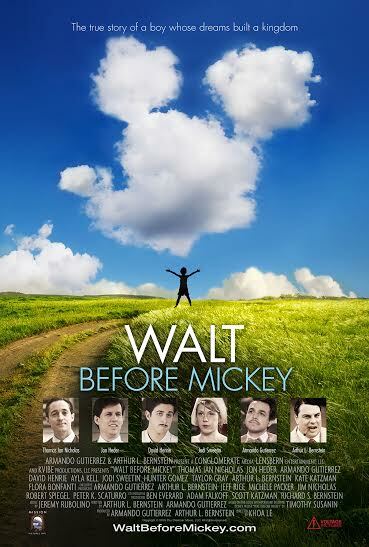 Well, my friends there is a reason I hadn’t heard of Walt Before Mickey. I can confidently say the only encouragement I can give you to see this film is if you like inadvertently funny ‘so bad it’s good’ type of entertainment. 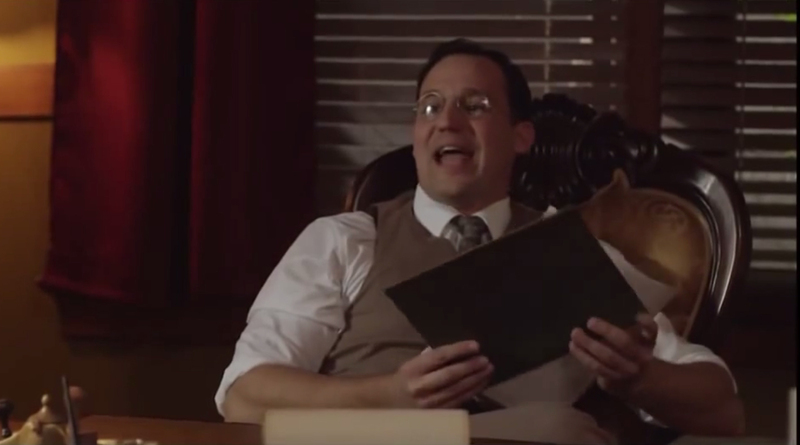 That’s right, Walt Before Mickey, had me in stitches but not in the way they intended it too. That’s not to say they don’t try to make a good movie but the script is so bad there were times I couldn’t believe what I was seeing. As the title suggests, Walt Before Mickey is about the mostly business life of Walt Disney before he created Mickey Mouse. It begins with some of Walt’s early life drawing horses for his neighbor. We will occasionally flashback to these scenes and in one scene it seems like Walt is terrified of his father and in another he loves and adores him. While that may be partly true it feels inconsistent and random here. Most of the time he is giving out great wisdom but then out of nowhere he will be harsh and cruel. A lot of this is true as far as names and faces but it is handled with such dew filled sepia lighting its tough to take seriously. It feels like a movie we’d see in Sunday School class not a feature film. If you aren’t laughing at those lines than you have a higher tolerance for cheese than I do. One of the most insane scenes I wish I had a picture of is Walt after Laugh-o-grams is closed down he becomes friendly with a a mouse that he starts to carry in his shirt pocket. He even dives in the dumpster to get food for the mouse and when it scurries away he goes into full-on meltdown mode. I couldn’t believe what I was seeing. This isn’t just a subtle hint at a friendship with a mice. This is whole on Cinderella talking too and interacting with him in multiple scenes. It makes you wonder why it took him so long to come up with Mickey! The acting isn’t that bad. Even Jon Heder from my favorite Napoleon Dynamite, is fine. It also looks nice as far as sets and costuming but I promise you Robert Deniro, Meryl Streep and Marlon Brando could not have saved this script. Another laughable character or caricature I should say is Conor Dubin playing Charles Mintz. This is the greedy Jewish guy who is counting his money and scheming to thwart the talented white guy you used to see in movies from the 40s. I felt embarrassed for everyone involved whenever his character was on screen. 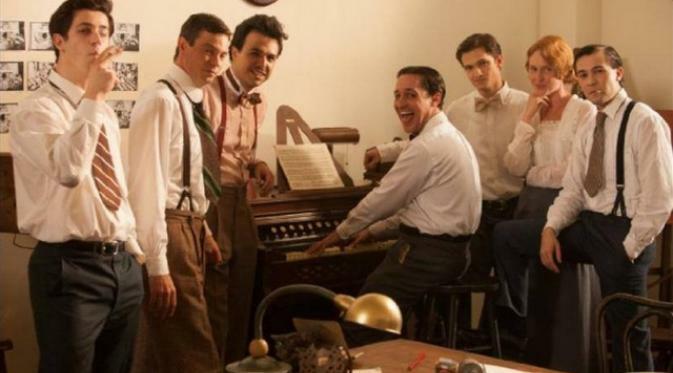 Walt Before Mickey is really on the Unauthorized True Story level Lifetime has been churning out for the likes of Saved by the Bell or 90210. It’s hero main flaw is not being able to pay people because he dreams too big. Evidently there were a lot of problems in the making of the film. One report I read crew members were walking off set, actors didn’t get paid and they had to finda new director after starting filming. There are times when you can’t hear characters and editing and focus will be sloppy. The editing was also badly done. In one scene Walt’s boys will pay his rent and practically lay down in traffic for him and then minutes later he is storming into the office throwing things off of desks and making a mess (the bad movie sign of stress). All of the characters are inconsistent like that and despite the best efforts by the actors it ends up feeling embarrassing. There’s another movie coming out this year about young Walt called As Dreamers Do and that looks equally cringe-worthy and he’s talking to a mouse in that one as well! I loved Saving Mr Banks so there is proof a Disney bio pic could be good but they have to be actual films and not visuals for the Walt Disney Sunday School course. The great man certainly deserves better that is for sure. 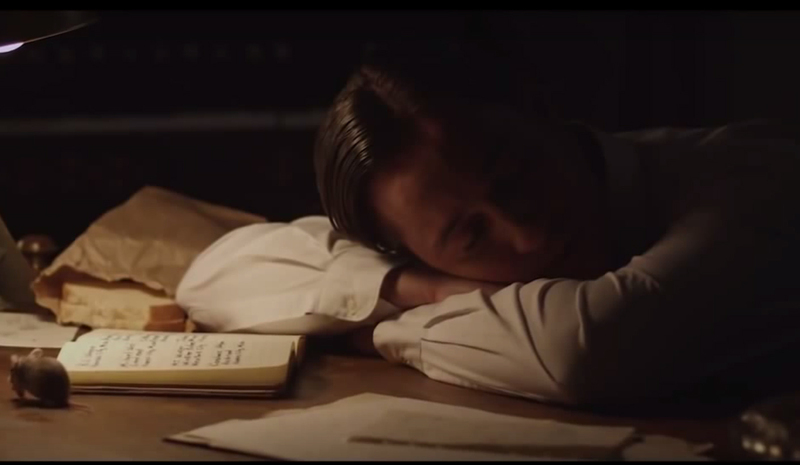 Here is a trailer to Walt Before Mickey if you want to get more of an idea. It’s always cool to find a Walt Disney movie, but I could tell this indie film looked pretty bad, lol! Have you seen ‘As Dreamers Do’? No. Has that came out yet? Yeah, since last year, I think. It’s another indie Walt Disney movie directed by Logan Sekulow with a bit of a Christian vibe to it. You might like it. It’s really kind of sad in a way because they had good ingredients but the script was just so bad. Oh well. You win some. You lose some! I hadn’t heard of this either. Glad to know I’m not missing anything! I will not go out of my way to watch this.